The Joint Worldwide Intelligence Communications System (JWICS pronounced JAYwicks), is a Top Secret/SCI network run by the United States' Defense Intelligence Agency and used across the Department of Defense, Department of State, Department of Homeland Security and Department of Justice to transmit especially sensitive classified information. In other words, JWICS is DoD's Top Secret Intranet together with its Secret counterpart, SIPRNet. JWICS superseded the earlier DSNET2 and DSNET3, the Top Secret and SCI levels of the Defense Data Network based on ARPANET technology. 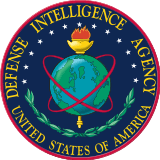 In day-to-day usage, the JWICS is used primarily by members of the Intelligence Community, such as DIA within DoD and Federal Bureau of Investigation under the Justice Department. Conversely, SIPRNet and NIPRNet comprise the overwhelming bulk of usage within DoD and non-intelligence government agencies and departments. JWICS was allegedly one of the networks accessed by Chelsea Manning, who in 2010 leaked massive amounts of classified material, including the video used in Wikileaks' Collateral murder and US diplomatic cables. ↑ MARCORSYSCOM – Website Temporarily Suspended. Marcorsyscom.usmc.mil. Retrieved on 2014-04-12. ↑ Joint Worldwide Intelligence Communications System [JWICS]. Fas.org. Retrieved on 2014-04-12. ↑ Kevin Poulsen and Kim Zetter (2010-06-06). "U.S. Intelligence Analyst Arrested in Wikileaks Video Probe". Retrieved 2010-06-15.